Optimum nutritional support for endurance athletics means consuming the right amount of the right nutrients at the right time. You can neither overload nor undersupply your body without compromising athletic performance and incurring detrimental results. The principle of avoiding both too much and too little especially applies to hydration where serious consequences occur from either mistake. If you don't drink enough, you'll suffer from unpleasant and performance-ruining dehydration. Drink too much, however, and you'll not only end up with impaired athletic performance, you may even be flirting with potentially life-threatening water intoxication. or an overly diluted level of sodium and electrolytes in the blood. This is as bad as underhydrating in regards to increased potential for muscular cramping but has the added disadvantages of stomach discomfort, bloating, and extra urine output. And, as mentioned earlier, in some unfortunate circumstances, excess hydration can lead to severe physiological circumstances, including death.
" approach. This can lead to significant problems when you're trying to meet your hydration requirements. All it takes is one poor performance or DNF due to cramping and you start thinking, "Hmm, maybe I didn't drink enough." Next thing you know, you're drinking so much water and fluids that your thirst is quenched, but your belly is sloshing and you're still cramping. Remember, both undersupply and over-supply of fluid will get you in trouble. How much should one drink? One expert, Dr. Ian Rogers, suggests that 500-750 milliliters/hr (about 17-25 fluid ounces/hr) will fulfill most athletes' hydration requirements under most conditions. I believe all athletes would benefit from what Dr. Rogers says: "Like most things in life, balance is the key." The balance here is likely to be at a fluid intake not much above 500 milliliters (about 17 ounces) per hour in most situations, unless predicted losses are very substantial. We at Hammer Nutrition have found that most athletes do very well under most conditions with a fluid intake of 20-25 ounces (approx 590-740 milliliters) per hour. Sometimes, you may not need that much fluid and 16-18 ounces (approx 473-532 ml) per hour may be quite acceptable. Sometimes you might need somewhat more, perhaps up to 28 ounces (approx 830 ml) hourly. Our position, however, is that the risk of dilutional hyponatremia increases substantially when an athlete repeatedly consumes more than 30 fluid ounces (nearly 890 ml) per hour. If more fluid intake is necessary (under very hot conditions, for example), proceed cautiously and remember to increase electrolyte intake as well to match your increased fluid intake. You can easily accomplish this by consuming a few additional Endurolytes capsules, or adding more scoops of Endurolytes Powder or Endurolytes Fizz tablets to your water/fuel bottle(s). We believe that fructose, sucrose, glucose, and other simple sugars (mono- and disaccharides) are poor carbohydrate sources for fueling your body during exercise. Also, for optimal general health, you should restrict your intake of these simple sugars (see the article 146 Reasons Sugar Ruins Your Health). For endurance athletes, the primary problem with fuels containing simple sugars is that they must be mixed in weak 6-8% solutions in order to match body fluid osmolality parameters (280-303 mOsm) to be digested with any efficiency. Unfortunately, solutions mixed and consumed at this concentration only provide at the most, about 100 calories per hour. That's inadequate for maintaining energy production on an hourly basis for most athletes. Using a 6-8% solution to obtain adequate calories means your fluid intake becomes so high that it causes discomfort and bloating and you may possibly overhydrate to the point of fluid intoxication. the overly concentrated mixture, but remember that you'll increase the risk of overhydration. However, if you don't dilute with more water and electrolytes, your body will recruit these from other areas that critically need them and divert them to the digestive system to deal with the concentrated simple sugar mix. This can result in a variety of stomach-related distresses, not to mention increased cramping potential. The bottom line is that simple sugar-based drinks or gels have to be mixed and consumed at very dilute and calorically weak concentrations in order to be digested with any efficiency. A simple sugar-based product used at a properly mixed concentration cannot provide adequate calories to sustain energy production. Any way you look at it, fuels containing simple sugars are inefficient and therefore not recommended during prolonged exercise. Complex carbohydrates (polysaccharides) are the best choice for endurance athletes. They allow your digestive system to rapidly and efficiently process a greater volume of calories, providing steady energy. Unlike simple sugars which match body fluid osmolality at 6-8% solutions, complex carbohydrates match body fluid osmolality at substantially more concentrated 15-18% solutions. Even at this seemingly high concentration, complex carbohydrates (maltodextrins/glucose polymers) will empty the stomach at the same efficient rate as normal body fluids, providing up to three times more calories for energy production than simple sugar mixtures. This means that you can fulfill your caloric requirements without running the risk of overhydration or other stomach-related maladies. To get the proper amount of easily digested calories, rely on fuels that use complex carbohydrates only (maltodextrins or glucose polymers), with no added simple sugar as their carbohydrate source. Hammer Gel and HEED are ideal for workouts and races of up to two hours, sometimes longer in certain circumstances. For longer workouts and races, select Perpetuem or Sustained Energy as your primary fuel choice. Too many endurance athletes fuel their bodies under the premise that "
If I burn 500- 800 calories an hour, I must consume that much or I'll bonk." However, repeating what Dr. Bill Misner stated earlier in "The GUIDE," to suggest that fluids, sodium, and fuels-induced glycogen replenishment can happen at the same rate as it is spent during exercise is simply not true. Endurance exercise beyond 1-2 hours is a deficit spending entity, with proportionate return or replenishment always in arrears. The endurance exercise outcome is to postpone fatigue, not to replace all the fuel, fluids, and electrolytes lost during the event. It can't be done, though many of us have tried. ). Body fat and glycogen stores easily fill the gap between energy output and fuel intake, so it's detrimental overkill to attempt calorie-for-calorie replacement. by consuming additional calories. It's not only unnecessary, it may very well cause a lot of stomach distress, which will hurt your performance. Remember, during periods where fuel consumption may be less than your original hourly plan, body fat stores will effectively fill in the gap, thus eliminating the need to overcompensate with calories. In general, an intake of 120-150 calories per hour is absolutely sufficient for the average size endurance athlete (approximately 160- 165 lbs/approx 72.5-75 kg). Lighter weight athletes (<120-125 lbs/ approx 54.5-57 kg) will most certainly need less, while heavier athletes (>190 lbs/approx 86 kg) may need slightly more on occasion, the key word being "may. When it comes to calorie intake, your focus should NOT be "
How much can I consume before I get sick?" but rather, "What is the least amount of calories I need to keep my body doing what I want it to do hour after hour?" Start with our dosage recommendations as outlined in the article "The Hammer Nutrition Fuels - What they are and how to use them,"
(found in our supplementary booklet) and fine tune your intake as needed. As is the case in all aspects of fueling, when it comes to caloric intake, you need to determine, via thorough testing under a variety of conditions, what amounts work best for you. Consuming sufficient amounts of calories and fluids during workouts and races is an obvious necessity. Consistent electrolyte supplementation is equally important. Just as your car's engine requires sufficient oil to keep its many parts running smoothly, your body requires electrolytic minerals to maintain smooth performance of vital functions such as muscle contraction. Athletes who neglect this important component of fueling will impair their performance and may incur painful and debilitating cramping and spasms, a sure way to ruin a workout or race. However, this doesn't mean that athletes should indiscriminately ingest copious amounts of one or more electrolytes. Sodium (salt) is usually the most misused. Supplementing with only one electrolyte or consuming too much of one or more electrolytic minerals overrides the complex and precise mechanisms that regulate proper electrolyte balance. The solution is to provide the body with a balanced blend of these important minerals in a dose that cooperates with and enhances body mechanisms. Salt tablets alone cannot sufficiently satisfy electrolyte requirements and excess salt consumption will cause more problems than it resolves. Additionally, remember that electrolyte replenishment is important even when it isn't hot outside. Sure, you may not need as much as you would in hotter weather, but your body still requires consistent replenishment of these minerals to maintain the optimal performance of many important bodily functions. You don't wait until you dehydrate before you drink fluids, or until you bonk before you put some calories back in your body, do you? Of course not. You fulfill your fueling requirements before the consequences of inadequate replenishment strike. The same principle applies to electrolyte replenishment. Going back to the engine/oil analogy, you don't wait until the engine seizes before refilling the oil reservoir. The same is true for electrolytes, the body's motor oil. You don't want to wait until you start cramping before you replenish these important minerals. Endurolytes, in capsule or powder form, is an inexpensive, easy-to-dose, and easy-to-consume way to get your necessary electrolytes. Use Endurolytes consistently during workouts and races to fulfill this crucial fueling need. this process devastates performance through muscle deterioration and increased fatigue-causing ammonia accumulation. It also negatively affects the immune system and your recovery. The longer your workout or race, the greater these problems are compounded. While carbohydrates are still the primary component of your fuel, it should include a small amount of protein when training sessions or races last longer than two to three hours. We believe that soy protein's amino acid profile is ideal for use during exercise, which is why Hammer Nutrition's Perpetuem and Sustained Energy contain soy as the protein source. For instance, compared to whey protein (which is ideal for recovery), soy protein has higher levels of phenylalanine and tyrosine, which may aid in maintaining alertness during ultra-distance races. Soy protein also has higher amounts of histidine, which is part of the beta-alanyl l-histidine dipeptide known as carnosine, which has antioxidant/acid buffering benefits. Finally, soy protein has higher levels of aspartic acid, which plays an important role in energy production via the Krebs cycle. Using Perpetuem or Sustained Energy as your primary fuel during workouts and races longer than two to three hours will satisfy energy requirements from a precise ratio of complex carbohydrates. Soy Protein will help protect against excess muscle breakdown, reduce soreness, and decrease recovery time. In the 1985 Race Across America (RAAM), Jonathan Boyer rode to victory using a liquid diet as his primary fuel source. Since then, it has become the norm for endurance and ultra-endurance athletes. Liquid nutrition is the easiest, most convenient, and most easily digested way to get a calorie and nutrient-dense fuel. Solid food, for the most part, cannot match the precision or nutrient density of the best liquid fuels. In addition, too much solid food consumption will divert blood from working muscles for the digestive process. This, along with the amount of digestive enzymes, fluids, and time required in breaking down the constituents of solid food, can cause bloating, nausea, and/or lethargy. Lastly, some of the calories ingested from solid foods are used up simply to break down and digest them. In essence, these calories are wasted. Choose foods that have little or no refined sugar or saturated fats. Don't think, "
I'm a calorie burning machine so I can eat anything I want" . . . calories are calories. Use solid food sparingly and only as an exception or diversion. Maintain your primary intake through liquid/gel sources. Use Hammer Gel, HEED, Sustained Energy, and/or Perpetuem as your primary fuel source during exercise. These provide precise amounts of specific nutrients and are designed for easy digestion, rapid nutrient utilization, and less chance of stomach distress. Also, the numerous flavors and mixing options give you plenty of variety. If you do decide to consume solid food, use it sparingly and select high-quality foods such as the Hammer Bar. The title is pretty self-explanatory. It's one of THE cardinal rules for all athletes, yet you'd be amazed at how many break it. Are you guilty as well? Unless you're absolutely desperate and willing to accept the consequences, do not try anything new in competition, be it equipment, fuel, or tactics. These all must be tested and refined in training. 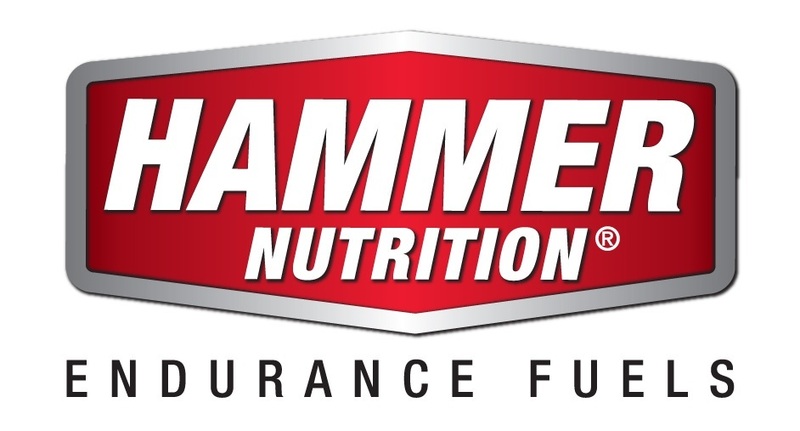 Because all of the Hammer Nutrition fuels are complementary (they all work well alone or in combination), you have all the flexibility you need to ensure that you can tailor a fueling program for any length of race, regardless of the conditions. You'll never have to guess or grab something off the aid station table in the hopes of trying to keep going for another hour. Use Hammer Nutrition fuels, try a variety of combinations in training, and keep a log of what works best for you. If you expand your training log to include fuel intake also, you'll have the data you need to prepare a smart fueling protocol for your next event. in place for their training program, which is, of course, an excellent idea. Smart athletes also have a strategy for their supplements and fueling. Having this nutritional gameplan that you've honed during training is a big step toward success on race day, but don't slavishly adhere to it during the race if it's not working. What does fine in terms of fueling (your hourly intake of fluids, calories, and electrolytes during training at a slower pace and lower overall energy output), might fail during competition. Athletes who stubbornly maintain the same fuel intake hour after hour, even when it's clearly not working, end up with poorer results, if they finish at all. ), especially under extreme conditions when your body cannot properly assimilate them, puts a burden on your stomach and can cause any number of stomach-related maladies and will certainly hinder or ruin performance. In the heat, it becomes more important to stay hydrated and maintain adequate electrolyte levels, so be willing to cut back on calorie consumption. Body fat stores, which satisfy up to two-thirds of energy requirements during prolonged exercise, will accommodate energy needs during occasional breaks from regular intervals of fuel consumption. During the heat, fueling is still important, but the focus shifts towards maintaining hydration and proper electrolyte levels. Resume regular caloric intake when you start feeling more acclimated to the heat and your stomach has had some time to assimilate the fuel that it already has. In a similar, but non-fueling vein, another time when it's not a wise idea to stick to your training plan is after you've had a poorer-than expected race. Many athletes think that the cure for a poor race is to train harder and longer. Instead of recuperating, many athletes will train themselves into the ground, usually ending up not fitter, but overtrained, with a poorly functioning immune system. A better tactic is to recuperate completely after your race, evaluating what went right and what went wrong during the race, then adapting your training accordingly. Training harder and longer isn't necessarily your best option. Remember that recovery is just as an important part of your training as the achievement of your athletic goals and the actual training sessions. Make sure that you take your recovery as seriously as your training. It's a good practice to have a game plan that includes a fueling protocol that you have refined during training, but you need to be flexible. Evaluate and adjust accordingly as race pace and weather dictate. Have a game plan, but write it in pencil, not in ink. Performance improvement depends on a program of exercise that stimulates muscular and cardiovascular adaptation followed by a recovery period in which the body rebuilds itself slightly more fit than before. Thus, the real gain of exercise occurs during recovery, but only in the presence of adequate rest and nutritional support. Athletes who fail to replenish carbohydrates and protein shortly after workouts will never obtain full value from their efforts. So even though all you may want to do after a hard workout is get horizontal and not move for several hours, you must first take care of what might be the most important part of your workout: the replenishment of carbohydrates and protein. Carbohydrate replenishment as soon as possible upon completion of a workout (ideally within the first 30-60 minutes) takes advantage of high glycogen synthase activity, imperative to maximizing muscle glycogen, the first fuel the body uses when exercise commences. Protein supplies the amino acids necessary to (a) maximize glycogen storage potential, (b) rebuild and repair muscle tissue, and (c) support optimal immune system function. This is also an ideal time to provide the body with cellular protection support in the form of antioxidants. Because athletes use several times more oxygen than sedentary people, they are more prone to oxidative damage, which not only impairs recovery, but is also considered a main cause of degenerative diseases. Consistent supplementation with a full spectrum vitamin/mineral supplement, along with any additional antioxidants, boosts and maintains the immune system and reduces recovery time. The bottom line is that post-workout nutrition is an important component of your training. Properly done, recovery allows you to obtain maximum benefit from your training. For more detailed information on this extremely important topic, please refer to the article, Recovery - A Crucial Component For Athletic Success. Depending on a number of factors (such as body size and length/intensity of the workout), consume 30-90 grams of complex carbohydrates and 10-30 grams of protein (a 3:1 ratio of carbohydrates to protein) immediately after workouts. This is easily accomplished with Recoverite, the all-in-one, complex carbohydrate/glutamine-fortified whey protein isolate recovery drink. Supplements to consider for providing antioxidants and supporting enhanced recovery include the Hammer Nutrition products Premium Insurance Caps, Race Caps Supreme, Mito Caps, Super Antioxidant, AO Booster, and Xobaline. Over-consuming food the night before a race or workout in the hopes of “carbo loading” – It would be nice if you could maximize muscle glycogen stores the night before a race or tough workout. Unfortunately, human physiology doesn’t work that way. Increasing and maximizing muscle glycogen stores takes many weeks of consistent training and post-workout fuel replenishment. Excess consumed carbohydrates the night before will only be eliminated or stored as body fat (dead weight). Over-consuming calories in your pre-workout/race meal – The goal of pre-exercise calorie consumption is to top off your liver glycogen, which has been depleted during your sleep. Believe it or not, to accomplish this you don’t need to eat a mega-calorie meal (600, 800, 1000 calories or more), as some would have you believe. A pre-workout/race meal of 200-400 calories comprised of complex carbohydrates is quite sufficient. You can’t add anything to muscle glycogen stores at this time, so stuffing yourself is counterproductive, especially if you’ve got an early morning workout or race start. Eating a pre-race meal at the wrong time – Let’s assume that you’ve been really good – you’ve been training hard (yet wisely) and replenishing your body with adequate amounts of high-quality calories as soon as possible after every workout. As a result, you’ve now built up a nice 60-90 minute reservoir of muscle glycogen, the first fuel your body will use when the race begins. A sure way to deplete those hard-earned glycogen stores too rapidly is to eat a meal (or an energy bar, gel, or sports drink) an hour or two prior to the start of the race. Eat clean. No refined sugar (skip dessert, or eat fruit), low or no saturated fats, and no alcohol. Eat until you’re satisfied, but not more. If you’re going to have a meal the morning of your workout or race, you need to eat an appropriate amount of calories (don’t overdo it) and finish all calorie consumption at least three hours prior to the start of the workout or race. If that’s not logistically feasible, have a small amount (100 calories) of easily digested complex carbohydrates 5-10 minutes prior to the start. Either of these strategies will help top off liver glycogen stores (which again, is the goal of pre-exercise calorie consumption) without negatively affecting how your body burns its muscle glycogen. FLUIDS – Don't drink excess amounts of water in the hopes of getting a head start on your fluid requirements for the race. Consumption of roughly 0.5 to 0.6 of your body weight is a good gauge in regards to how much water you should be consuming daily (example: 180-lb/approx 82-kg athletes should drink approximately 90-108 ounces of water daily). However, if you’ve not been following this recommendation consistently, don’t start now, as this will overwhelm your body with too much fluid too soon, which may increase the potential for hyponatremia. CALORIES – As discussed earlier, don’t stuff yourself with extra food in the hopes that you're “carbo loading.” The time period for carbohydrate loading (i.e., maximizing muscle glycogen storage capabilities) has, for all intents and purposes, passed. In essence, “carbo loading" is what you did in the 0-60 minutes after all your workouts leading up to the race. That’s when the glycogen synthase enzyme—which controls glycogen storage—is most active, and that’s how you topped off your glycogen stores. Any excess food you eat in the days leading up to the race is either going to be passed through the bowels or stored in adipose cells. Neither of those things will benefit you. SODIUM – Don’t consume extra sodium (salt) in the hopes that you’ll be “topping off your body stores” prior to the race. Since the average American already consumes approximately 6000 to 8000 mg per day (if not more), an amount well above the upper end recommended dose of 2300-2400 mg/day, there is absolutely no need to increase that amount in the days prior to the race. (Hint: Adopting a low-sodium diet will do wonders for both your health and athletic performance). High sodium intake, especially in the days leading up to the race, is a recipe for disaster because it will greatly increase the potential for disruption of the hormonal mechanisms that control sodium regulation, re-circulation, and conservation. In the days leading up the race, be especially cognizant of the salt content in your foods, especially if you go out to eat. Dining out can easily increase your already-high salt intake dramatically. The best performances in long-duration events are achieved by getting to the starting line well rested rather than razor sharp. In doing so, you may find yourself not hitting on all cylinders during those first few minutes. In fact, you might even struggle a bit. However, your body will not forget all the training you've done and it will absolutely reward you for giving it the time it needed to "soak up" all of that training.